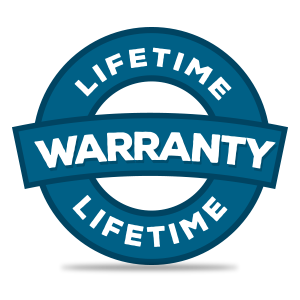 Simply stated, we offer a Real Lifetime Warranty on every DualLiner bedliner that we sell. You can download our actual warranty document to see for yourself. DualLiner warrants the DualLiner bedliner against defects in material and workmanship for the life of the bedliner. Warranty is transferable to new owner of truck or bedliner. Failures due to improper installation are not covered. DualLiner reserves all rights and privileges with regard to warranty determination. Please contact DualLiner at 800-992-1949 for any warranty questions. Limited liability: The foregoing remedy of component replacement is at the manufacturer’s discretion and is the buyer’s sole remedy. Manufactured components are subject to variance. Both polyethylene and rubber components are effected by heat, cold, sun and other environmental factors. Due to these tolerances it is important to note that manufactured parts may shift and change depending on environmental factors for the life of the product. See Terms & Conditions for further definition. How would you rate your DualLiner Overall?